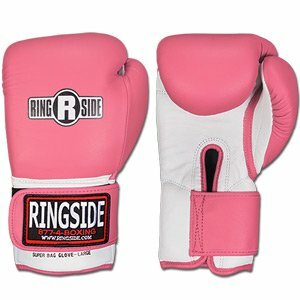 Ringside Super Bag Gloves: See Reviews! 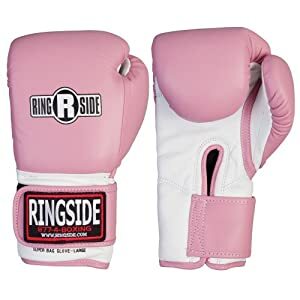 Ringside bag gloves are available in a number of sporting goods stores. But, you do not want to purchase "any" Ringside bag gloves. You will want the more expensive Ringside Super Bag Gloves. These gloves definitely do provide enhanced protection a greater degree than many "standard" bag gloves. And you do want excellent protection in your bag gloves. Ringside does produce many different models of bag gloves with some being better than others. Purchasing the proper Ringside bag gloves could prove to be a huge help since it can make your training sessions a lot safer and more enjoyable. Bag gloves are designed to give your hand decent protection while giving your boxing gloves a rest. Bag gloves are much lighter and provide less protection since they are not designed for sparring. 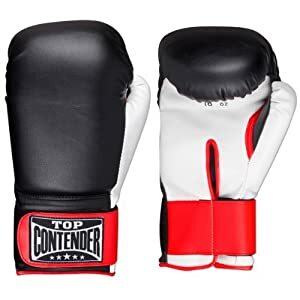 However, they do provide enough protection that the hand will not be injured when you wail away on the heavy bag, focus mitts, Thai pads, or double end bag. Of course, you will want a high quality pair of bag gloves since cheap gloves will diminish the level of protection that you will need. 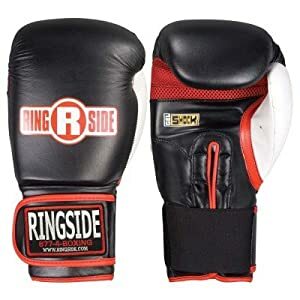 Thankfully, Ringside does offer several bag gloves that are produced of the highest level of quality that aid in maintaining proper protection. What is cool about Ringside Super Bag Gloves? There are a variety of positive attributes to Ringside Super Bag Gloves. The most obvious would be the heavier weight that these gloves possess. They are not as heavy as full boxing gloves, but they do not have to be. They are not intended for sparring. The added padding to these gloves does make them effective for hitting the heavy bag as hard as you wish. But, don't all bag gloves offer this attribute? Answer: NO! Some bag gloves are little more than leather mittens. Needless to say, such gloves will have little value in terms of providing protection to the hand. Don't take any risks with them! Another excellent benefit to these bag gloves is that they come with a Velcro fastener. This can allow you to maintain as snug of a fit around the wrist as you wish. Some bag gloves do not have fasteners (Velcro or otherwise) and their absence truly makes the gloves lacking. You do not want to lose your gloves when you train since this creates a safety hazard. And you certainly would not want that to occur since the glove can only protect your hand when the gloves are being worn. If there were any negatives, it would be these gloves are not built for longevity. They may not last more than a few years before replacing them will be necessary. For most people, this might not be too short of a duration. 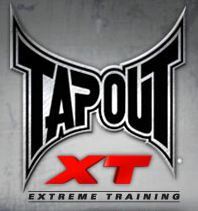 Compare to a top brand like Everlast? In terms of comparison to Everlast, the answer depends on the particular Everlast bag gloves in question. Some Everlast gloves are cheapie models of far lesser quality. Then, there are also excellent Everlast gloves that deliver comparable quality to these very excellent Everlast Super Bag Gloves. 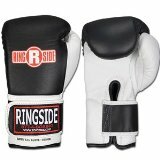 Find Ringside Original Super Bag Gloves right here for the lowest prices I have found. Have you worn the Super Bag Gloves by Ringside? Rant or Rave about Ringside right here! I think they are one of the top brands and the prices are worth it? Enter Your Title Right Here Such As: Are the Ringside Super Bag Gloves worthy of the Ring?